Książka otwiera nową serię wydawniczą Polskiego Towarzystwa Tomasza Z Akwinu pod nazwą Vademecum filozofii. Autor, kierownik Katedry Filozofii na Wydziale Teologii Uniwersytetu w Paderborn, zabiera głos w starej dyskusji o kompetencje poznania naturalnego i poznania z wiary. Pisze o roli filozofii w uprawianiu filozofii oraz roli rozumu w życiu wiarą w przekonaniu, że rozum i wiara, filozofia i teologia dopełniają się, a nie przeciwstawiają się sobie. Książka zawiera wybór tekstów filozoficznych na temat relacji teologia i filozofia oraz listę lektur pomocniczych. 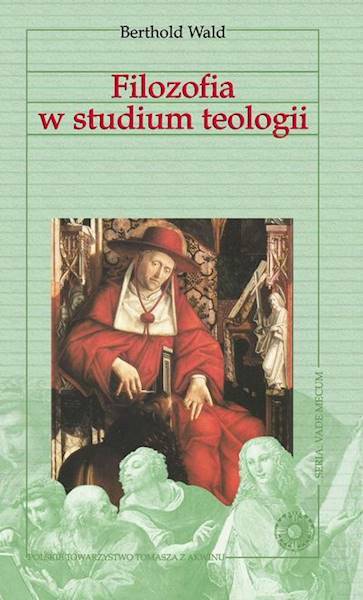 The book opens a new series of the Polish Society of Thomas Aquinas called "The Vademecum of Philosophy". The author, head of the Department of Philosophy at the Faculty of Theology of the University of Paderborn (Germany), speaks in the old debate about the capabilities of natural knowledge and knowledge of the faith. He writes about the role of philosophy in studying theology and the role of reason in the life of faith. He accepts the opinion that reason and faith, philosophy and theology are complementary and not in opposition. The book contains a selection of philosophical texts on the relations between theology and philosophy as well as a list of reading helpful in study.